Track, predict and understand your migraine patterns. dolotrack was developed together with migraine specialists and doctors from various medical fields. It is a frictionless app that tracks migraine patters and learns with your input. After around two months of individual usage, doloTrack can individually warn users of a potential upcoming migraine attack. Who can benefit from using doloTrack? dolotrack is a useful companion for anyone who suffers from severe headache or migraine and wants to understand individual triggers and patterns. "We can only change, what we measure." is a common principle that can also be applied to understanding and preventing migraine patterns and attacks. doloTrack allows you to visually discover connections between medication, therapy, weather and other individual observations like pain level or relief factor. 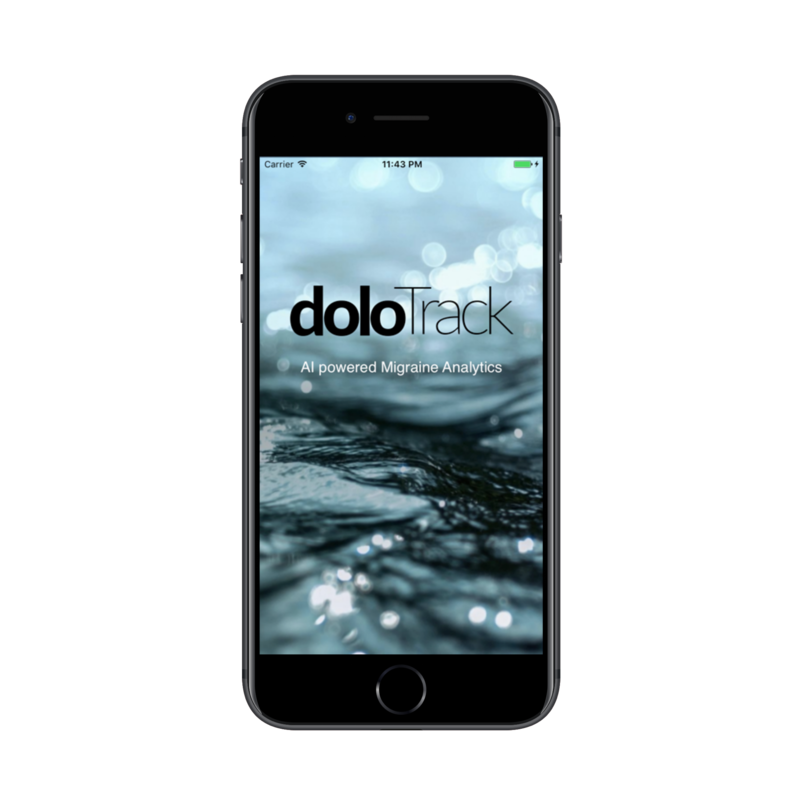 doloTrack for iOS is built to make tracking of migraine pain phases as easy and frictionless as possible. Pain levels, accompanying symptoms and the medication taken can be recorded with just a few clicks. doloTrack automatically detects pain phases and groups them accordingly. 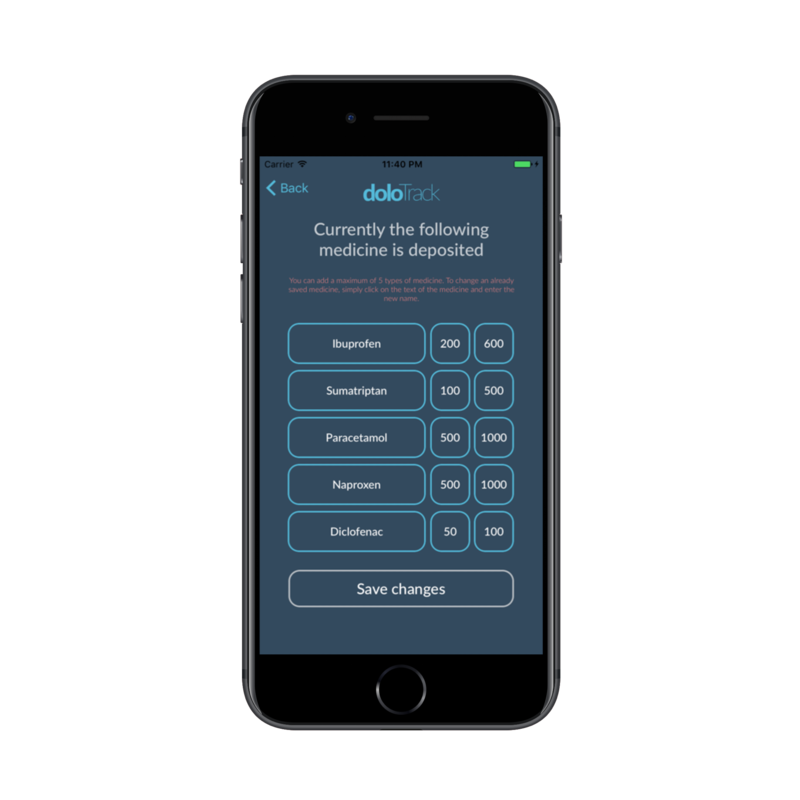 Choose your own reminder interval to make sure doloTrack can learn from your individual data and draw conclusions in terms of effectiveness of therapy or medication. Pain phases or changes in pain intensity can always be added manually. doloTrack's algorithms combine individual user input data such as pain intensity or medication with environmental data like temperature, weather forecasts or UV levels. Advanced machine learning models are then trained individually to understand specific patterns and draw personal predictions. doloTrack's built in calendar is a great way to visually see the effects of a specific therapy. 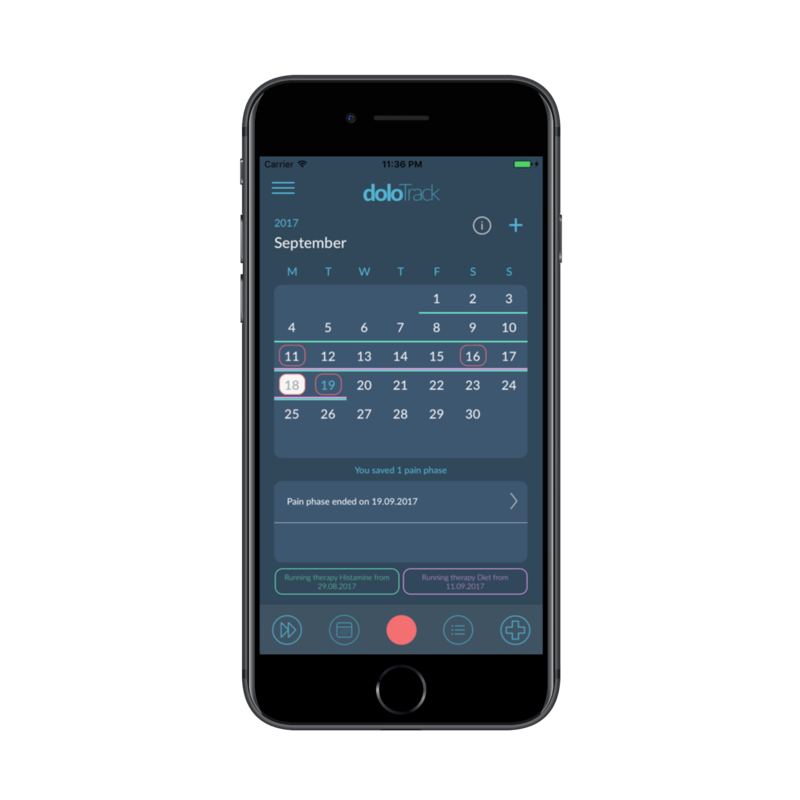 Many users told us that they show their doloTrack calendar to their doctors when discussing current therapies. Every time you use doloTrack your inputs are individually combined with local weather conditions and other environmental influences such as UV levels. All of that happens in the background and doesn't require any manual input. Sign in on this page to access you dashboard and get detailed reports. doloTrack allows you to track the amount and effectiveness of medication. Longterm strategies such as sport or specific diets can be measured and interpreted accordingly. After arround 2 to 3 months of continuous usage (= every migraine phase is recorded or added manually) the app can predict a potential upcoming migraine attack. Please note that all predictions are only suggestions. Our algorithms become better over time - the more you use doloTrack, the better it can predict your individual migraine patterns.